When searching for a professional tree service company to perform services for your home or business, you should always ask whether they are licensed and insured or not. Making sure they have a license will tell you that they have the minimum, and that there is something you can trust. If they try to avoid the question or say no, then you might want to pick a different tree service to help you. Being licensed is very important when it comes to trustworthiness and quality of work. If the tree care service you are using is not licensed, be prepared to deal with screw-ups, poor service and a lack of tools to get certain jobs done right. After you guarantee that they are fully licensed to provide services, next you should confirm that they are insured. 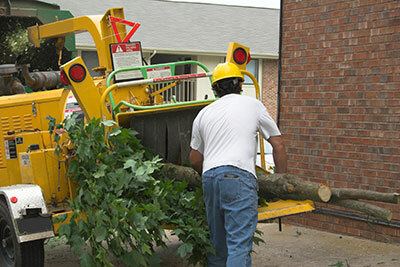 If the tree care service you are calling is not insured, then you may want to be cautious about hiring them. We aren't saying that the insurance is completely necessary for good work to be done, but it just another way to protect yourself from a bad job or an unfortunate accident. It is for these reasons that Sarasota Tree Care Service is licensed and insured. We take our customers satisfaction and trust very seriously, and in doing so, we want to be fully qualified to provide the safest, most effective service possible. We believe that our tree care service is one of the best out there, so being insured can help us show you that we want to do our very best. If any unfortunate accidents happen to occur, our insurance plan will be able to cover it up. This is just one of the ways we are showing you that we truly do care about your satisfaction of our work. In the end, regardless of whether or not you choose to work with our staff at Sarasota Tree Care Services or opt for one of our competitors, we strongly urge that you take our advice on confirming that the company is licensed and insured.